It’s nearly two years since Computing became a subject for all children in England to study, and we’re now seeing some amazing work to bring opportunities for digital making into schools. Recently I visited Eastwood Academy in Southend-on-Sea, where teacher Lucas Abbot has created a digital making room, and built a community of young programmers and makers there. 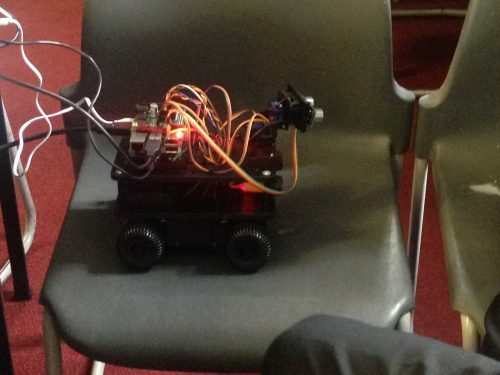 Lucas trained as a physics teacher and got hold of a Raspberry Pi for projects at home back in 2012. His head teacher heard about his hobby, and when the move towards all children learning programming started, Lucas was approached to take up the challenge of developing the new subject of Computing in the school. With the help of friends at the local Raspberry Jam, Linux user group, and other programming meetups, he taught himself the new curriculum and set about creating an environment in which young people could take a similarly empowered approach. In Year 7, students start by developing an understanding of what a computer is; it’s a journey that takes them down memory lane with their parents, discussing the retro technology of their own childhoods. Newly informed of what they’re working with, they then move on to programming with the Flowol language, moving to Scratch, Kodu and the BBC micro:bit. In Year 8 they get to move on to the Raspberry Pi, firing up the fifteen units Lucas has set up in collaborative workstations in the middle of the room. By the time the students choose their GCSE subjects at the end of Year 8, they have experienced programming a variety of HATs, hacking Minecraft to run games they have invented, and managing a Linux system themselves. 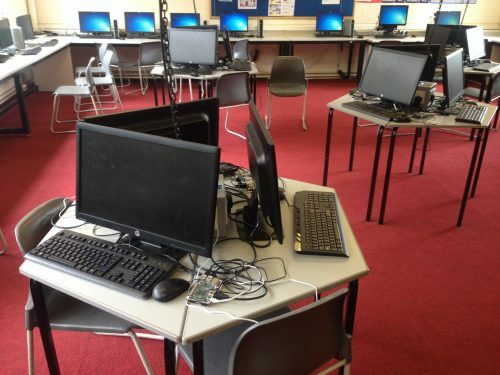 Fifteen Raspberry Pi computers have been set up in the centre of the room, at stations specifically designed to promote collaboration. 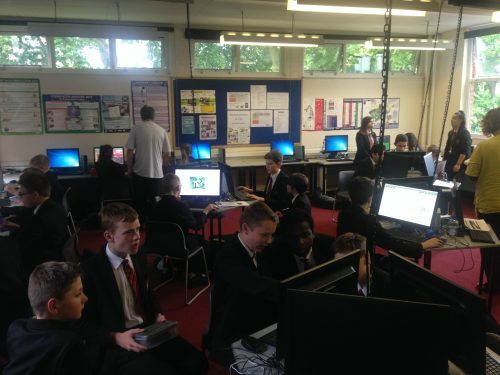 While the traditional PCs around the edges of the room are still used, it was the Pi stations where pupils were most active, connecting things for their projects, and making together. A clever use of ceiling-mounted sockets, and some chains for health and safety reasons, has allowed these new stations to be set up at a low cost. The teaching is based on building a firm foundation in each area studied, before giving students the chance to invent, build, and hack their own projects. I spent a whole day at the school; I found the environment to be entirely hands-on, and filled with engaged and excited young people learning through making. In one fabulous project two girls were setting up a paper rocket system, propelled using compressed air with a computer-based countdown system. Problem-solving and learning through failure are part of the environment too. One group spent a session trying to troubleshoot a HAT-mounted display that wasn’t quite behaving as they wanted it to. Lessons were impressive, but even more so was the lunchtime making club which happens every single day. About 30 young people rushed into the room at lunchtime and got started with projects ranging from figuring out how to program a robot Mr Abbot had brought in, to creating the IKEA coffee table arcade machines from a recent MagPi tutorial. I had a great conversation with one female student who told me how she had persuaded her father to buy a Raspberry Pi, and then taught him how to use it. Together, they got inspired to create a wood-engraving machine using a laser. Lunchtime clubs are often a place for socialising, but there was a real sense of purpose here too, of students coming together to achieve something for themselves. Since 2014 most schools in England have had lessons in computing, but Eastwood Academy has also been building a community of young digital makers. They’re linking their ambitious lessons with their own interests and aspirations, building cool projects, learning lots, and having fun along the way. We’d love to hear from other schools that are taking such an ambitious approach to computing and digital making. Lucas has created a really good environment for his school pupils at Eastwood Academy and also takes part in the wider community activities in Essex. 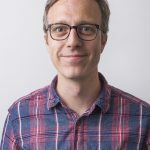 He plays an active role at the Southend Coding Evening helping other teachers understand how to teach the curriculum and invites his pupils to take part in external activities. At the last Chelmsford Raspberry Jam, Lucas and Eastwood Academy pupils ran a very successful all day “Introduction to Raspberry Pi” workshop for beginners and we hope that they will take part in further Raspberry Jams in Essex. Eastwood Academy have also donated a number of Raspberry Pis to be taken to Vietnam as part of a cultural exchange. I swear there’s something in the water in Southend. There are some amazing people teaching and practising computing down your way. totally trivial to the post (which is very interesting)… Those hexagonal tables are rather neat and look the make the layout with three Pi stations work very well. I took the photo just after a lesson. There was lots of moving back and forth to try connecting different things to the Pis, checking tutorials on the internet connected PCs, and generally lots of collaboration. You should understand .. and this is what I tell my boss when I’m sitting back .. is that when I’m not typing on the computer it’s at work on it’s own. Sitting back is a good thing … See ?